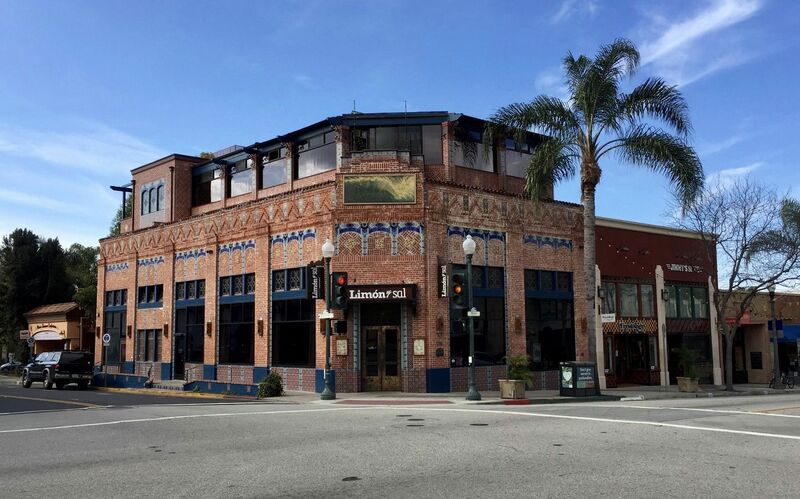 Originally the Ventura Guarantee and Loan Company, built in the 1920's is significant for its decorative tile, three interior pastoral murals by Norman Kennedy and grillwork on the balcony. The ceiling is pre-cast plaster and painted to resemble wood by European craftsmen. The building was restored in 1961 by Theodor Groene. Location. 34° 16.84′ N, 119° 17.5′ W. Marker is in Ventura, California, in Ventura County. Marker is at the intersection of Main Street and Chestnut Street, on the left when traveling east on Main Street. Touch for map. Marker is at or near this postal address: 598 East Main Street, Ventura CA 93001, United States of America. Touch for directions. The marker is visible here on the corner of the building, to the right of the door. feet away); Dr. Cunane House (about 700 feet away); The Arnold House (about 700 feet away); Old County Court House (about 700 feet away); Dacy Fazio House (approx. 0.2 miles away). Touch for a list and map of all markers in Ventura. More. 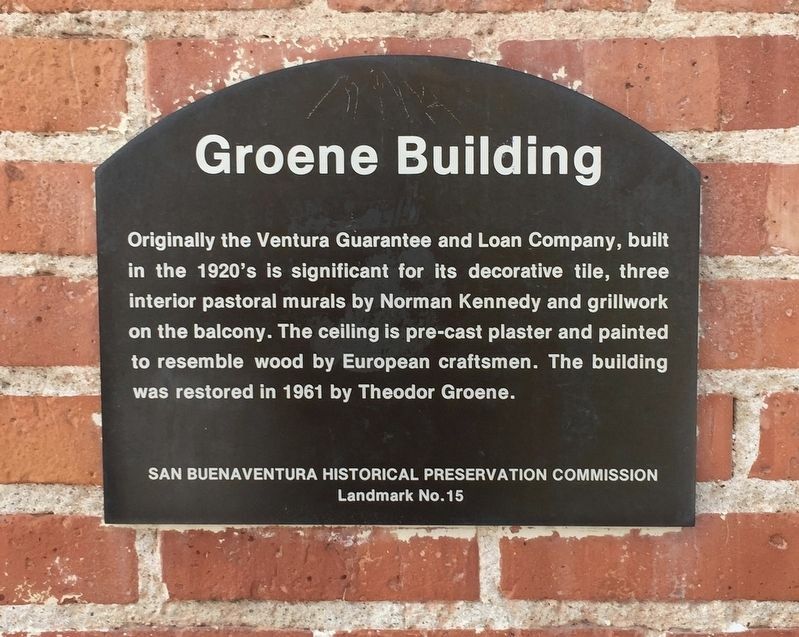 Search the internet for Groene Building. Credits. This page was last revised on March 6, 2019. This page originally submitted on March 6, 2019, by Andrew Ruppenstein of Sacramento, California. This page has been viewed 61 times since then. Photos: 1, 2. submitted on March 6, 2019, by Andrew Ruppenstein of Sacramento, California.